When you write feeler letters to homeowners in property tax delinquency, you need to be able to anticipate the kind of calls you will receive. The way you handle these first phone calls from homeowners can determine the outcome of your deed-grab deals. Some callers tend to be suspicious about how someone who is not an employee of the county could possess information about their tax sale. Others tend to be uneasy about how you located them at a new address. Usually, mentioning that you get all your information out of Internet searches and the public record is enough to assuage all fears. You simply need to tell them that you are a real estate investor who is in the business of picking up unwanted properties and helping homeowners make a little money. It’s always a good idea to start out by educating your callers in the tax sale process, and then showing them how you have something to offer them that the default process doesn’t. Here’s a more detailed look at how to prepare yourself for most types of callers. If a homeowner first learns about his home making it to a tax sale through an email or postcard that you send out, he’ll call you himself. It’s usually a good idea to start out by explaining to the caller that he owes massive back taxes on his property, and that the county has a lien that it will shortly sell to a third-party investor. This explanation helps in several ways. To begin, it gives you a chance to make the third-party investor look like the villain of the whole deal. By contrast, you get to emerge looking the part of the friendly professional trying to help. In many cases, setting up a contrast will result in the homeowner doing everything in his power to make sure that the villainous investor doesn’t get his home. He will want you to have it, instead. You can also try to learn about how the homeowner came to fall so far behind on his taxes. The information you collect can tell you about his chances of being able to get money together to pay what’s due. With some owners, it’s clear that they simply don’t have the money needed to redeem their home. These are the owners that you’re looking for. They have no choice but to give up their property. Once they accept this, your job will be to sound surprised, and to wonder out loud if you might get the property instead of the investor, to see if there is anything that you can do with it. You can tell the owner that third-party investors just take the property and walk. There’s nothing the owner gets out of it. If he were to give it to you, though, you’d be able to pay him a couple hundred for signing the paperwork. 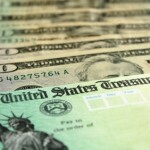 It’s important to make sure that you mention that the money is for their time signing paperwork. If you make it sound like it’s for the property, they’ll feel insulted. Some homeowners will ask you if you’re willing to buy the property yourself, hang on to it for a few years until they come up with some money, and then sell it back to them. This isn’t likely to be a profitable arrangement. It is even illegal in several states. You need to explain to the owner how you aren’t set up to finance homes. You can, instead, ask them to consider how if they don’t come up with the money, they might let you take over the deed. Every homeowner that you call, you need to be sure to get a few pieces of information. You need their contact number, information about the general state that the property is in, about any judgments, liens or mortgages that the property may be subject to and about whether there are multiple owners to deal with. There’s much more that you need to keep in mind when you speak to homeowners for the first time. The ideas here, though, should be a good start. 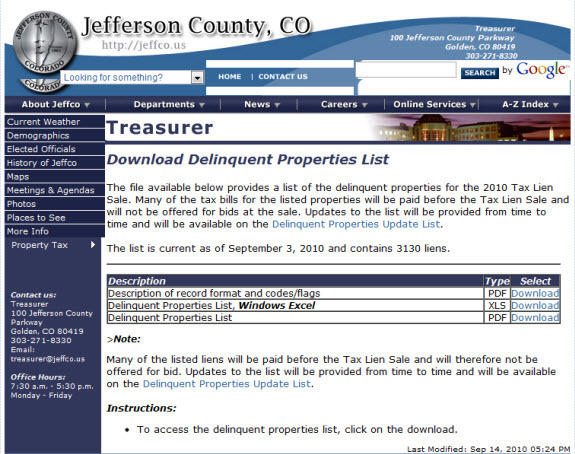 Property Tax Sale / Delinquent Property Files Often Found Online – Free! Property tax sale lists used to be a bit of a pain to get a hold of – you either had to make a public records request and wait for that to be fulfilled, or purchase a property tax sale list from a vendor online. But now that more and more counties are “going online”, you can often find and download these lists for free. 1. The lists are often updated very often, even daily, to reflect properties that have dropped off the list. 2. The lists contain not only property tax sale records, but even properties that are slightly to moderately delinquent but not on a property tax sale list yet. 3. They are in electronic format – easy sorting and filtering using your computer instead of dealing with a paper property tax sale list. You’ll have the best luck in the midsized to large counties, as smaller counties don’t seem to have the budget to have good online resources. All you need to do is start Googling! Use words like “delinquent tax file”, “download delinquent list”, “delinquent property file”, “delinquent tax roll download”, and other terms like that. Now, this list is from the last tax lien sale. So that’s an OK start. 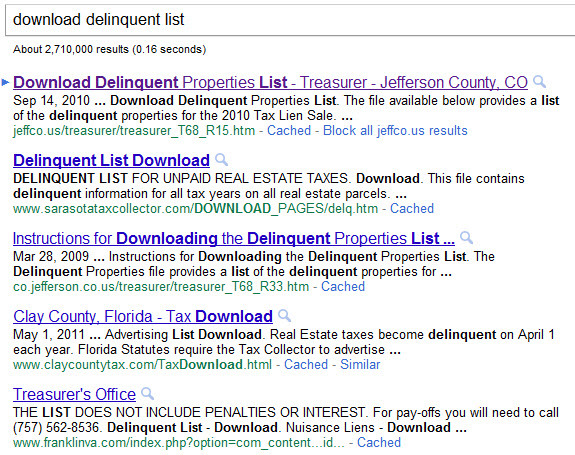 But look a bit further down in the results – Milwaukee has posted its entire delinquent file online! Over 25,000 records for you to download, each representing a delinquent parcel on its way to a property tax sale soon. The list contains everything you’ll need to begin marketing to tax-delinquent owners BEFORE the actual property tax sale list even becomes officially available. Michigan Tax Deed Sale Foreclosure with Equity! It probably doesn’t come as a big surprise to you that there was a big Flint, Michigan tax deed sale this year. It didn’t surprise me in the least. After all, Flint may be one of the hardest-hit towns in today’s economy, and real estate values and sales are reflecting that unfortunate reality. – Extremely valuable properties can and do go ALL THE WAY to tax deed – resulting in a total loss by the owner. – Millions of dollars worth of property can be up for grabs before the sale – and not just “war zone” properties – even with a Michigan tax deed sale. 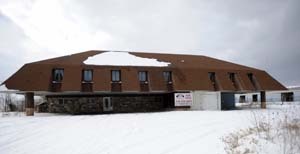 – Any one of US could have had a tremendous, life-changing opportunity if we could have gotten involved with even one of the properties that ended up in the county’s hands. – And – if you don’t happen to know much about the Michigan tax deed sale system – the government will keep all the spoils if you don’t get in front of that owner to solve their tax problem! You may have read some of my previous articles, like “Tax Deed Sales Create an Unexpected Profit Source”, where we talk about the owner being eligible to collect substantial amounts of money in the event they lose a valuable property. In most states, if a property with a 6- or 7-figure value went up on the auction block, it would bid well in excess of the taxes owed. This would then create a surplus. A surplus is the amount the county collected above and beyond what they were owed, after auctioning the property at the tax deed sale. So while the owner of a property like the one you see above would probably lose the property forever, it would be likely that as a “consolation prize” there would be a large surplus that the owner could collect to make the whole situation more just. Don’t get me wrong, though I feel badly for anyone who loses a property to tax deed, I agree that at some point strict action must be taken and this can include loss of ones’ property after an extended time. So I’m not against the whole tax sale system per se – in fact it’s what gives us so many opportunities to make a great living even when the real estate market is down. The surplus being available to the owner is a sort of “check and balance” to help make the situation a little more just for the owner losing a property to a tax deed. How About Some Checks and Balances in the Michigan Tax Deed Sale, and Others Like It? What I DON’T agree with is government deciding that at some point the taxpayer’s property became THEIRS. 100% theirs. Despite the fact that the taxpayer likely owes only 5-10% of the property’s value in taxes, states such as Minnesota, Wisconsin, Michigan, and Oregon want more. In fact, they want it all. So they foreclose the property completely, and they make sure to do it well ahead of the tax deed sale. Now, because of a relatively low tax bill that was owed, they’ve become 100% owner and wiped the owner out. But, as usual in most tax deed states, they let the bidding go wild several months later at the tax deed sale. And the county loves it – because THEY now own the property, and as such THEY get all the surplus funds from the sale! And the owner is truly left blowing in the wind with NOTHING. I wanted to write about this today not to complain about government – in my opinion that will get you nowhere. Rather, I want you to see the HUGE opportunities that exist in these “backward” states to snag tax sale property BEFORE the county can get their hands on it. Remember – by the time a tax deed list comes out, there is only one owner and they don’t sell except at auctions! Take a little time and delve into the FORECLOSURE process that the county performs prior to the sale and you will find a wealth of properties that nobody but you has access to. Finally, make sure the owners realize that the final date to redeem their property may come and go with as little as a notice in the mail – no big auctions or evictions when that day passes. The big Michigan tax deed sale windfall will be savored by Uncle Sam (or rather his local counterparts) several months down the road! 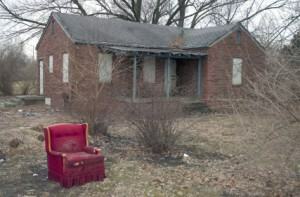 When properties are taxed at outrageous rates, they can become worthless (even as a tax sale property) in a hurry! 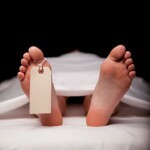 When it becomes too much to bear -- most just walk away - and a tax sale soon follows. n a previous article, “Second Chance Tax Sales“, I briefly mentioned the irony of ANY property not selling at a county tax sale. Any given property, you would think, should be taxed at some relatively small percentage of its actual market value each year. Voters in California pioneered the idea that homes should only be taxed at 1% of their value all the way back in 1978. And Indiana recently passed a state constitutional amendment limited taxes on homestead properties to 1% of value or 2% for rentals. See the results for more information – it received over 78% approval by voters. Tax sale property should have been greatly reduced. The Debate: What is an appropriate yearly tax burden to guarantee only a small percentage of value is owed at any tax sale: 1%? 5%? 10%? Even if it were appropriate to tax a property at 10% of its value every year (preposterous in my opinion, by the way, and 10 times the rate of some areas), properties would have no more than 30-40% of their value accrued in taxes by the time a tax sale would be held. In most states, much less would accrue before sale (most get the property to a sale before 3-4 years of delinquency piles up). Even in today’s terrible market, investors line up to pay 30-40% of current market value for tax sale property sale. By definition, it’s “free money”. Sure, some tax sale property is truly worthless, and yet might have to be assessed for SOMETHING. And so the county should eventually acquire those properties. But many very useful properties are taxed the entire amount of their value in the span of just a few years are not worth what owed at the first tax sale held. Is it really possible to lose money on a properly-managed, free and clear tax sale property as a rental, where there is demand for rental housing? One would hope that this couldn’t possibly be so, but unfortunately it is, at least for now. Overtaxation is a vicious circle. Once taxes reach a point where cash flow cannot be obtained by renting free and clear properties, property values in that neighborhood get very close to zero. A viable rental strategy can be to buy houses so cheap that they are disposable – in other words, you never pay the taxes on the property. Rent it out unti it’s eventually becomes a tax sale property again. Between delays in holding tax sales, and waiting for subsequent “second chance” sales to be held, several years can go by where rent is collected. Yet with property taxes paid (the main expense in this property), and a tidy profit can be made. This is also known as “milking the property”. You can probably imagine the effects this kind of business model (which is forced upon landlords by overtaxation) can have on a city. 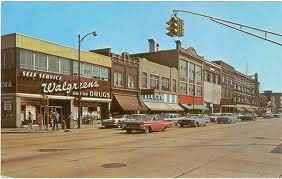 See my recent post on Gary, Indiana. 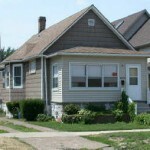 Let’s look at some typical tax sale property in East Chicago, Indiana, or Gary, Indiana. Both communities still have well-kept, though low-income, neighborhoods where rental demand is adequate. 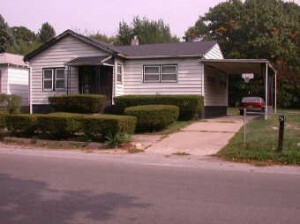 Say you get your hands on a well-kept, clean property in Gary’s Horace Mann neighborhood for only $2000. It has a built-in renter getting 100% section 8 assistance. Sweet! Section 8 pays $450 per month for the property, and the tenant is a pleasure. $5400 per year is direct-deposited into our account each and every month. Just get some more tax sale property like this and we’ve doubled our social security benefits, right? 1. Generally accepted operating expenses for property (includes vacancies and maintenance): 45% of income. 3. Insurance: Insurance for properties in lower-income areas has exploded in cost the past few years. With the mortgage crisis, most low-income areas have a high number of vacant properties, and the opportunities for thugs to cause trouble (and insurance ) abound. Yearly insurance premium: $1000. Profit: $30 loss for well-managed, free and clear property. This setup leaves an attractive, high-profit option for the entreprenuer (but potentially devastating for the community)…become a slumlord! Note that $3000 of the expenses shown here don’t NEED to be paid for a landlord to receive the rent. 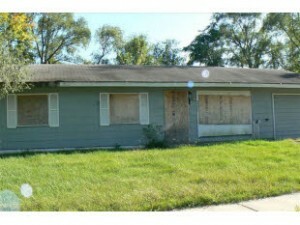 So it’s possible to pay $2000 for this tax sale property at a second chance tax sale. You could then turn around and earn almost $3000 per year while paying no county property taxes or insurance. This wave could be ridden for for 4-5 years or more before the property is lost again. I hope you find the numbers I presented here (and the effect they will have on overtaxed communities) as outrageous as I do. The solution is to spend less and/or obtain city/school revenues from some other source than property taxes. The market will severerly punish any jurisdiction that doesn’t heed this warning, tax sale or not! 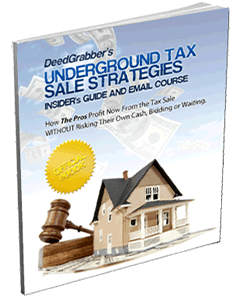 Get all kinds of tax sale property with no bidding or waiting – get my “Underground Tax Sale Strategies” guide below. At nearly all tax sales, there are parcels that do not sell for even the minimum amount of taxes owed. An interesting thing to note about this phenomenon is that it indicates overassessment of a property to an almost unbelievable degree. The property is being taxed in excess of its true market value over the course of just one or several installments of taxes! This is shown by the fact that nobody is even willing to pay the current taxes owed for the property. Of course, delays in holding tax sales can result in more installments building up than intended by law, before a sale is held. 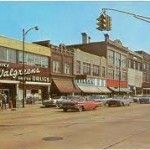 See my article, “Tax Sales – Essential for Every Community”, for more information on this effect. In most states, counties re-offer the properties that do not sell at second-chance tax sales. Let’s look at a few ways we might be able to get involved. If a county re-auctions properties that did not sell at the original sale, but doesn’t give special terms, bargains will still be elusive. Even if the bidding starts at 1 cent for leftover parcels, competitive bidding will usually eliminate any opportunity to get a property for less than market value. However, since the properties offered at these tax sales are more “bottom of the barrel”, these tax sales may attract fewer bidders and bargains may be had. Other times, counties will sell the properties “over the counter”. 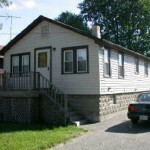 It’s possible to make small profits on these properties occasionally. In general though, even minor bargains that are openly available to the public for any significant amount of time will be snapped up. 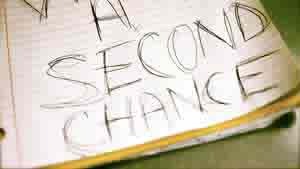 “Second chance” sales in tax lien states, however, can be one of the rare opportunities to participate directly in tax sales, enjoy low prices, AND eliminate negatives associated with tax liens. This is because the county can “sweeten the deal” in more ways than one in the second chance tax sale. 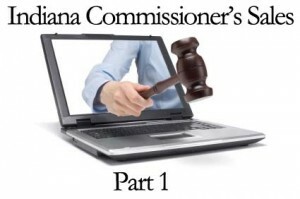 Because county officials in many Indiana counties seem unable to perform reassessments in a timely manner, delays in the tax sale happen often as mentioned above. So, in a typical example, taxes on a servicable single family home in Gary, Indiana can reach almost $10,000 from one sale to the next. The market value of a home like this is around $10,000, and redemption rates are not as high as the rest of the county, so few bidders will participate in the sale of a home like this. However, the county may cut the minimum bid of a properties like this to $2000 or less, and just as importantly, reduce the redemption period down to 120 days. Because of the volume of properties offered, and the fact that this is not a deed sale, bidding remains subdued in many cases, and bargains can be had. In a recent sale I was able to acquire 4 homes, 2 of which were rented Section 8, at $450 apiece, for a total of less than $10,000. The two vacant homes required less than $10,000 total to fix up and are now rented at $450 and $600 apeice, for a yearly gross rent of $23,400. At first, the deal sounds unbelievably good with a less than 12 month payback on investment. I was indeed happy with the investment but it’s not nearly as great as it seems. Work Second Chance Property as a DeedGrabber? In my experience, it only pays to be involved in second chance sales as a bidder. Typically, if the owner of a “second chance” property wants to redeem (HINT: this is you if you buy it from the current owner), the full amount of taxes must be paid. In the example above, you would have to pay $10,000+ to redeem the property that you observed sell for $2000 at the second-chance sale. More counties are outsourcing their tax sales to private companies. This has some definite implications for us as investors. Whereas government often doesn’t have an incentive to create efficiencies, private companies do. As a result we’re seeing greatly enhanced information access almost immediately when a private company is brought in to do tax sales. This USUALLY makes it easier for us to obtain the information we’re looking for about upcoming tax sales. An exception can be when the private company collects information and hides behind their private status to deny public record requests. For the most part, this has not proven to be an issue. For years, many Indiana tax sales have been run by a company called SRI out of Indianapolis. SRI developed the proproetary software that tracks the status of properties offered or sold at county tax sales in Indiana. They also hold the actual auction itself onsite in each county. SRI has also conducted online tax sales (usually second-chance commissioner’s sales) and developed an ebay-like auction system for those sales. It’s quite good, complete with proxy bidding. 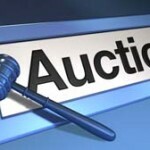 This allows you to set a maximum bid you’ll pay, but only pay slightly above the second-highest bidder. Finally, SRI’s website gives stats for completed tax sales and allows for download of upcoming sale lists. The stats are very useful for determining which counties had significant activity the year before and are therefore prime targets for pre-redemption period purchases. Another company, Government Utilities Technology Service (G.U.T.S. ), has entered the scene of late, and appears to be developing excellent online resources as well. Significantly, they have been awarded the contract for Marion County tax sales (Indianapolis). This is the county with the highest tax sale activity in the state. G.U.T.S even posts the bidder lists from tax sales on their website. Amazing the access that is granted to tax sales when there is no conflict of interest, as with the county. You may want to take note when a brand-new private company is awarded a contract to perform a sale in your target area. Onyx, a Valparaiso company hired by Lake County, Indiana to perform tax sale work in 2010, failed to cause the appropriate notices to be filed in local papers as required by law. As a result, the tax sale conducted they conducted had to be totally reversed as a result. 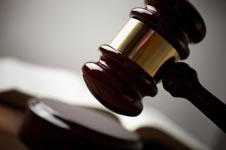 Millions of dollars had to be refunded to tax lien investors, and all of their efforts to participate in the sale were wasted. I wrote about that in a previous post. Another concern with private companies is that they will become the sole custodians of what should normally be public information (tax sale results). They could then potentially share this data only directly with the counties. This could make our job of obtaining records of tax sales more difficult. Finally, when private contractors are paid by the parcel to run a sale or earn a commission, the fees borne by the county can be quite high. A relatively small county in Indiana, Boone County, recently paid G.U.T.S. $70 per parcel for a total of $16,030 to conduct their tax sale. This seems to indicate that 229 properties were offered at the sale. 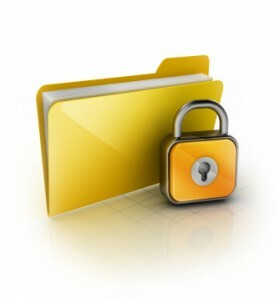 Responsibilities of private companies usually include providing initial notice by certified mail for each owner involved in the sale, arranging for publication of notice as required by law, conducting the actual sale, and providing software necessary to track status of the properties in the sale. For smaller sales where several hundred properties are offered, these rates seem somewhat within reason. But larger counties would pay up to $770,000 or more for tax sales to be conducted privately. 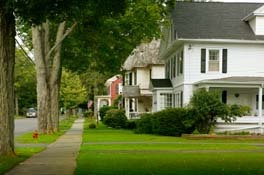 Lake County, Indiana for example has recently had tax sales where more than 11,000 properties were offered. SRI was recently awarded a contract to perform a tax sale in Lake County in which a 10% commission on all proceeds were paid over to SRI. The amount of taxes being offered? $48 million! Do you think you could remember to place the required newspaper ads if you were awarded a contract for $770,000 or a share of $48 million? You’ll learn several ways to profit from tax sales in my Underground Tax Sales Secrets report, which you can get below for free. The DeedGrabber Marathon is over…. Are tax deed sales an effective way to acquire property for bargain prices? The short answer is: hardly ever. Let’s look at a few reasons why purchasing property at tax deed sales can be problematic. 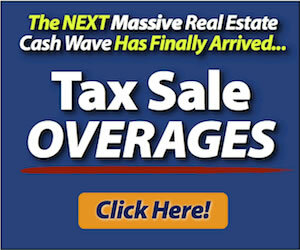 The first obstacle you’ll encounter is that you will have to research each and every property on the tax sale list. In many areas, hundreds or even thousands of properties can be listed on a county’s tax sale list. When there are this many properties listed, it becomes a huge expenditure of time to drive to each property (if you can even find some of them without an address) and assess a value you’d be willing to pay for each one. Also with a large list, there will be mostly garbage properties available that will not even be worth the taxes owed. It’s easy to confuse an adjacent lot, next to a valuable property, with the property you’re looking to bid on, and make a bad purchase. Now that you’ve spent hours researching the properties, you’ll have to have cash available to purchase the property at the sale. Don’t think that the amount listed in the list is necessarily what you will be able to purchase the property for – – this is just the minimum bid. At the sale, you’ll be joined at most tax deed sales by several other bidders with deep pockets. They’ll almost always bid the property out of the bargain range and closer to retail value. The last significant item is that most properties purchased at tax deed sales do not have marketable title at the time you buy them. Though any mortgages or liens are usually wiped out by the tax sale process, title companies want an additional step performed, called a quiet title, which can take 3-4 months and cost an additional $500-$2000 to perform. Many times during the quiet title process, interested parties who were not sufficiently noticed about the sale will come forward and attempt to overturn your deed. This is the whole reason the title companies want the quiet title done successfully – – they have been burned too many times by insuring tax deeds bought at auction. The only way you will succeed at tax deed sales in buying a cheap property, is if you manage to attend an auction where nobody shows up, or everybody who does show up misses a valuable property on the list and does not bid. These experiences will be few and far between, and you’ll have to research all tax deed sales in the meantime to be prepared in the event you get lucky. 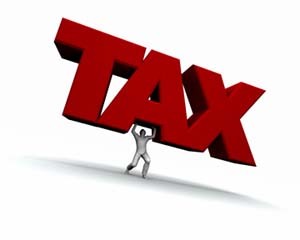 However, tax deed sales do present a great investing opportunity. You can simply contact the owners of property going to tax deed sales and buy the property directly from them. Much of the time, the reason the property is going to tax deed sale is because the owner doesn’t want it. In these circumstances you can offer the owner as little as $50 for the deed to the property and pay the amount owed in taxes, with no quiet title or bidding necessary.